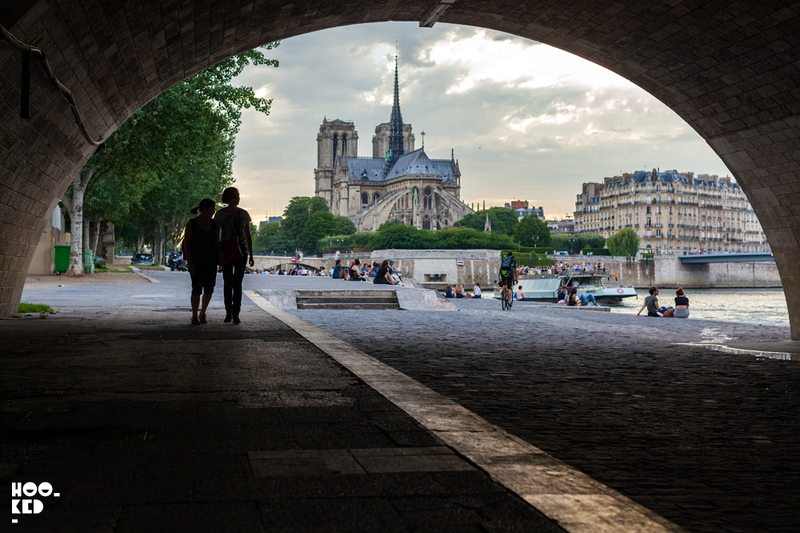 Paris is one of those cities that we love to return to as often as possible. We first visited the city many years ago while we were in still in school taking one of the typical tourist bus tours of all the cities major tourist attractions from the Eiffel Tower, Arc de Triomphe, Musee D'orsay The Louvre, Sacré-Cœur and we even managed to visit the Palace of Versailles on that trip. On each of our subsequent visits over the years we have always tried to see something new beyond the tourist hotspot, visiting different neighbourhoods in the city. 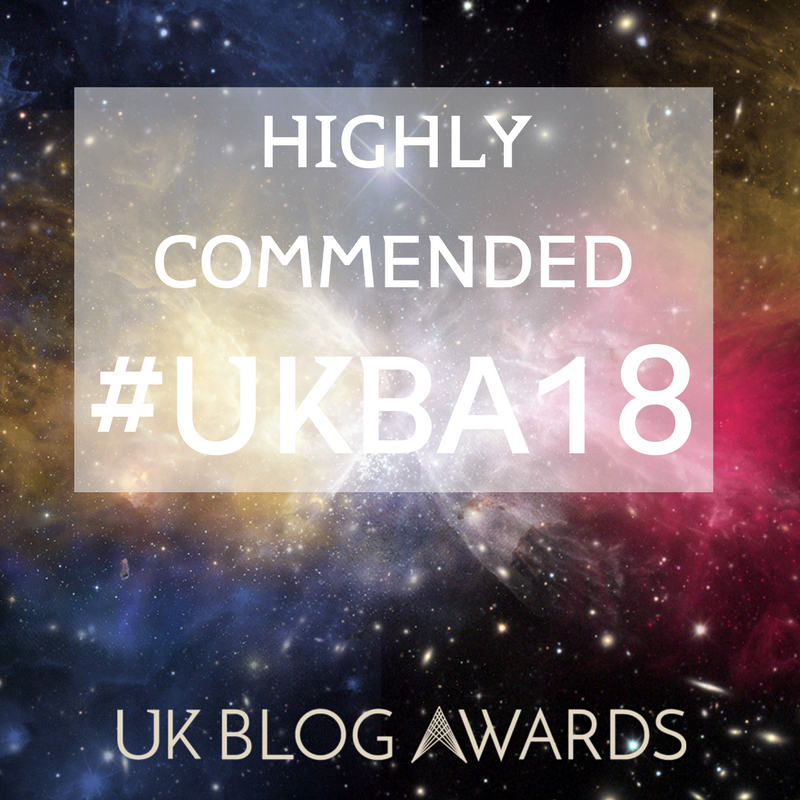 That combined with our love of street art always brings us to some of the far flung parts of the cities we visit, in our search for the best street art. Previous Paris trips have seen us taking the train and we have even braved crossing the channel on the ferry (never again if we can help it!!) but on this visit we flew to Paris from London Heathrow with Air France — a first for us. 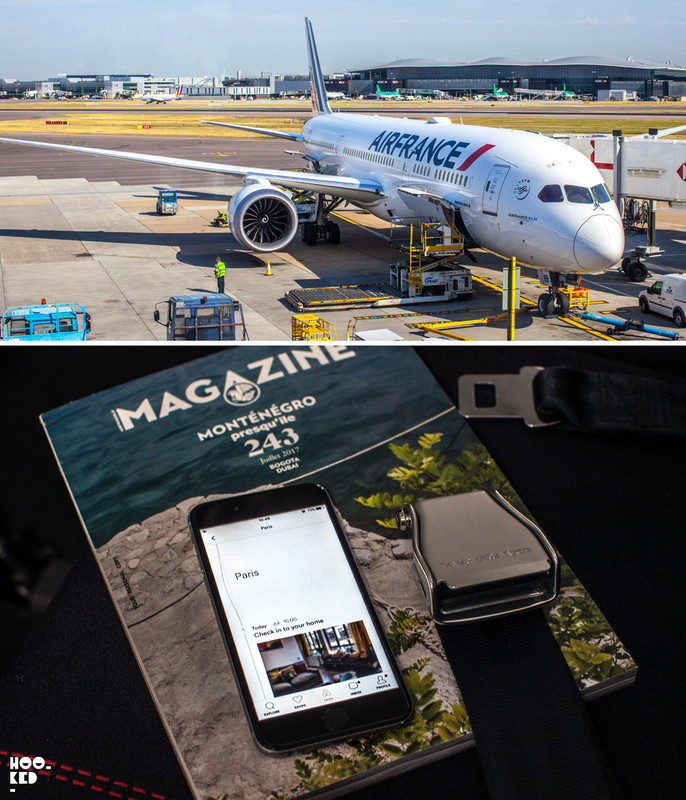 Not only was this our first time flying to Paris it was also the first time flying with this airline and our Paris flight saw us aboard one of their long-haul aircrafts, the Boeing 787-9. We have traveled extensively this year and have to say we were seriously impressed with their onboard entertainment systems! With flight times from London to Paris as short as they are it didn’t really make sense for us to start watching a movie, and we kinda wished our flight was longer. Instead over a glass of wine and a snack we had a flick through the inflight dual language magazine to see if there was anything of interest happening in Paris that we might have missed while researching before our trip. No sooner had the drinks been served and the announcement was made that we would shortly begin our descent to Paris’s Charles de Gaulle Airport. 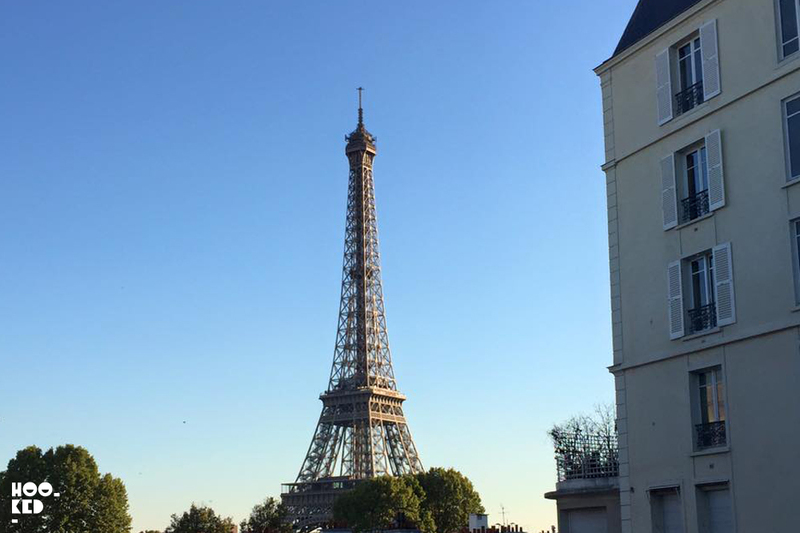 A short journey into central Paris and we were checking our home for our stay - an Airbnb 5th floor loft in the 2nd arrondissement. Central Paris hotels can be expensive and for us an Airbnb apartment made perfect sense, we wanted to feel like we were living in the city rather than just guests even if it’s just for the weekend. 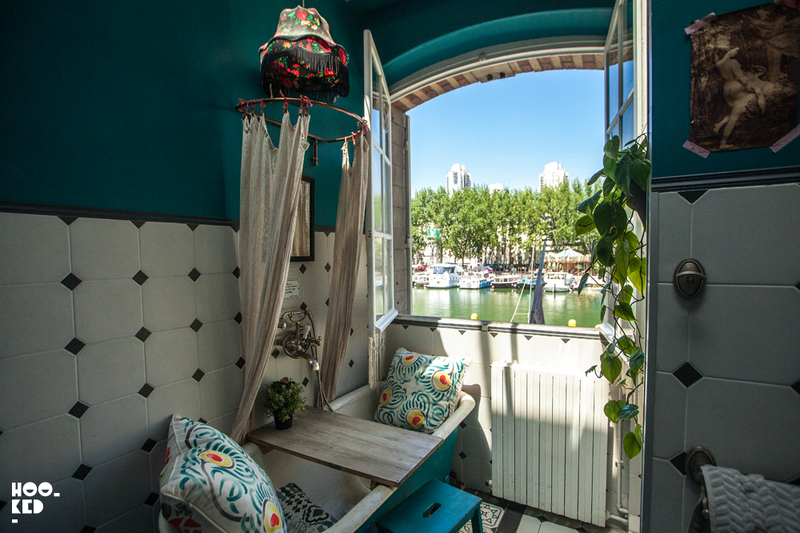 Plus we feel you have more choice over what part of the city you want to stay in and for us that was that was 2nd arrondissement, right in the city centre. 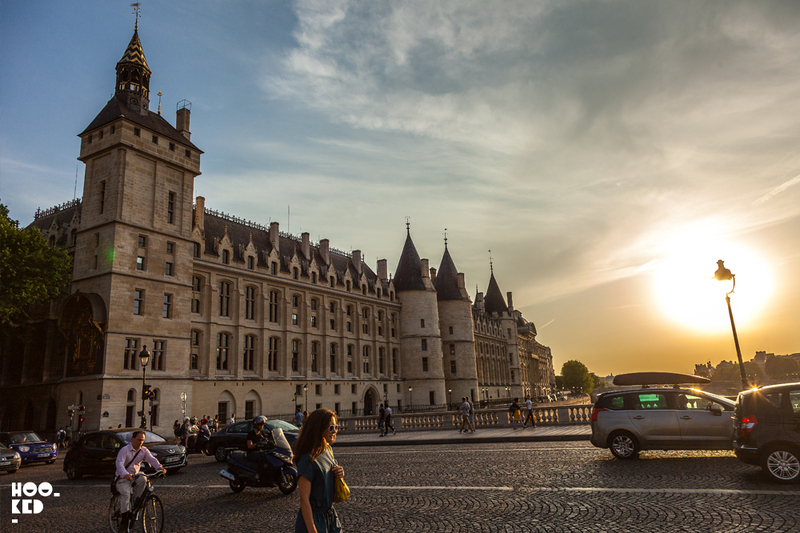 With Paris temperatures in the high 30’s we wanted to avoid using the Metro as much as possible during our stay and the central location was perfect, allowing us the freedom to walk and cycle to many of the locations we wanted to visit on this trip. After checking into our loft and dropping off bags we were straight out the door for the first of the two AirBnB experiences. We have been using the website for years but another first for us on this trip was trying out the Experiences part of the site. With a multitude of tours and experiences on offer from locals and experts we opted to join a local on a cycle tour of the city. First stop was the rooftop of the Institut du Monde Arabe to check out some of the sweeping views of the Paris skyline. 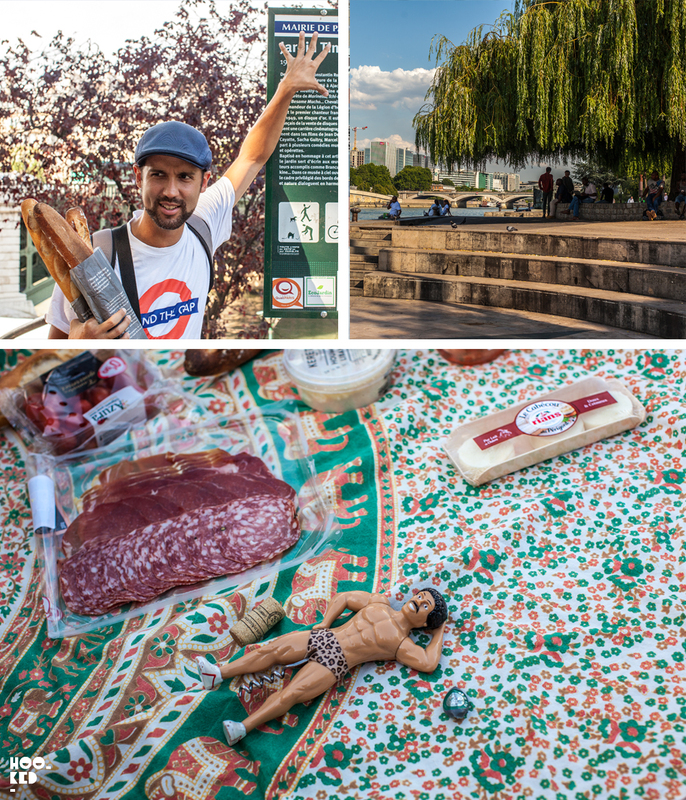 After taking in the views of the city, we joined four other travellers for a picnic along the Seine which was a perfect way to kickstart or Paris adventure. After sampling a wide variety of French cheese, Corsican charcuterie and wine and evening stroll along the river bank to our apartment completed the our first day in the city. Our second day saw us join local expert Anto and the group for a day of biking around the Paris neighbourhoods of Marais & Canal Saint Martin amongst others. We are not a huge cyclists but this was a wonderful way to really see Paris allowing us to avoid both the metro and the throngs of tourists. We picked ourseleves up one of the short term Velib tickets — the cities rental bikes. The process is really simple, you can do it online in advance or at any of the ticket machine stationed next to the bikes. The service is much like those found in London and other major cities. It's 1.70 EURO for the day with the first 30 minutes free, if you go over the 30 minutes there is an incremental charge that starts at 1.00 EURO But like the London service you can dock you bike back, wait two minutes, re-enter the code you get and take another bike for an additional 30 minutes. 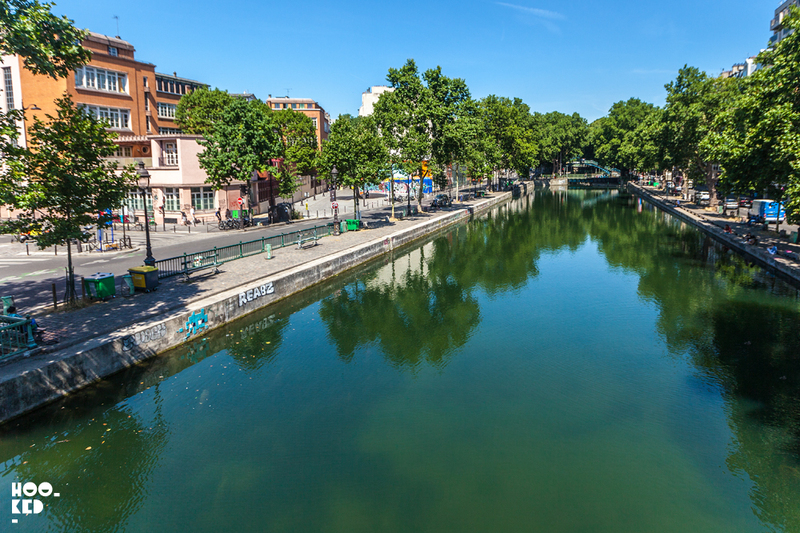 The afternoon saw us take a leisurely ride along Canal Saint Martin pictured above (can you see the Invader? ), stopping at the Pavillon des Canaux for lunch — a wonderful canal side space with friendly staff, amazingly quirky interiors and some quality food and coffee ..... the cakes were really good to. Try the amazing lemon cheese cake! After lunch we continued our bike ride around the 19th and 20th arrondissement stopping in the Belleville nieghbourhood to see some of the cities street art. We had such fun biking around on the AirBnB experience tour that continued to hire a city bike for the rest of our stay in the city. 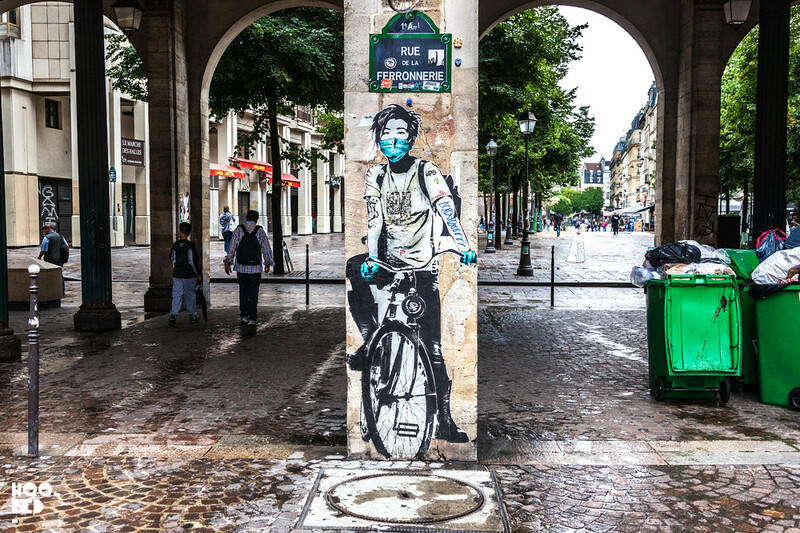 Unlike London where street art is confined to a just few neighbourhoods, it is to be found right across Paris and cycling allowed us to cover more ground especially in the 13th arrondissement where over 50 murals are waiting to be discovered. Paris is on fire right now — for those with an interest in Street Art there is so much happening in the city it is really putting London to shame. With several big exhibitions taking place, an Invader museum show ( more on that visit soon in another post ), a large scale show by French Street artist C215 in the 13th arrondissement town hall there was plenty for us to see and photograph. Below is a very small selection of some of the artists whose work we photographed over the weekend and includes Clet Abraham, Invader, INTI and Fred Le Chevalier. Stay tuned for additional posts on the Invader show and C215's exhibition. 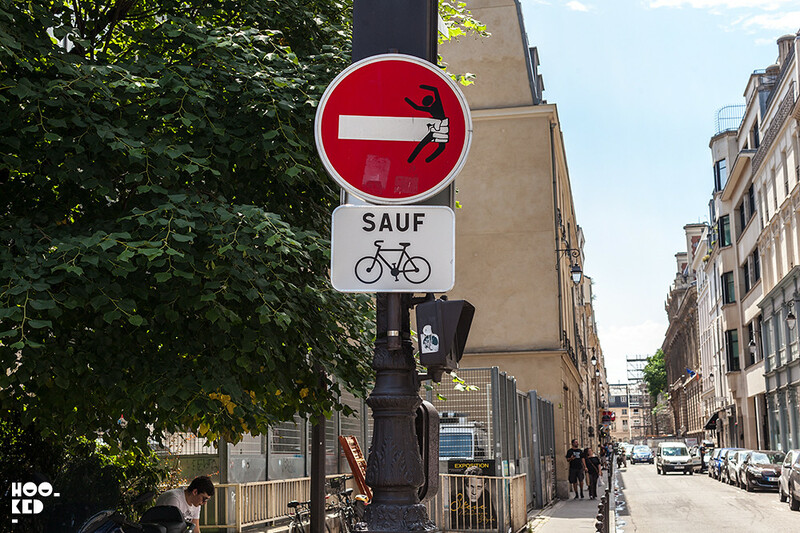 Italian-based French street artist Clet Abraham's work (Previously on Hookedblog) can be found right across Paris -you just need to look up! The street artist humorous vinyl stickers additions to the hacked street signs are alway fun to discover. See more : Street Artist Clet Abraham Visits London, UK. 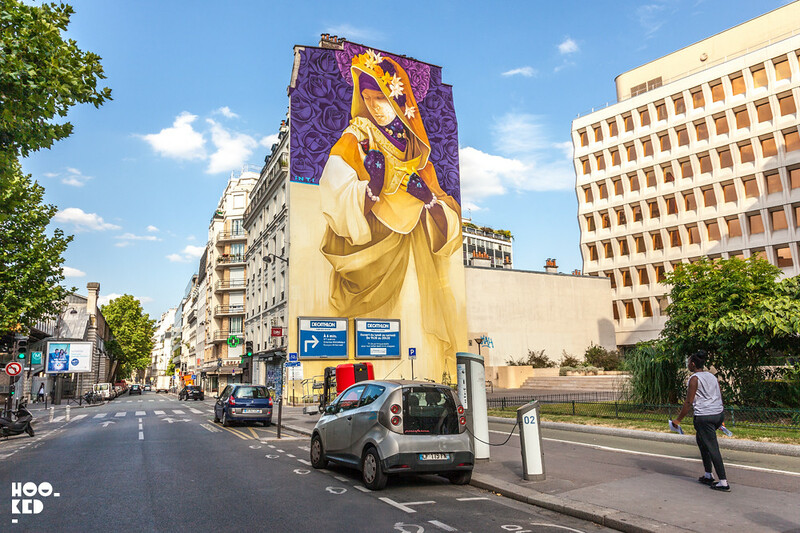 One of the many beautiful murals to be discovered in Paris's 13th arrondissement which in recent years has been transformed with these large scale artworks. The work pictured above is one of three murals in the neighbourhood painted by Chiliean street artist INTI and part of the Street Art 13 programme which began in 2009. A dedicated website for the Street Art 13 website has been set up (French Only!) with information on the project, the artists who have painted and importantly a map with the locations of the works in this huge open-air museum. With the UK's mobile phone roaming charges no more we downlaoded the map and hired one of the cities rental bikes — spending an afternoon cycling around this neighbourhood discovering the works and enjoying not having to queue to see the artworks as with a number of the more popular museums in the city. 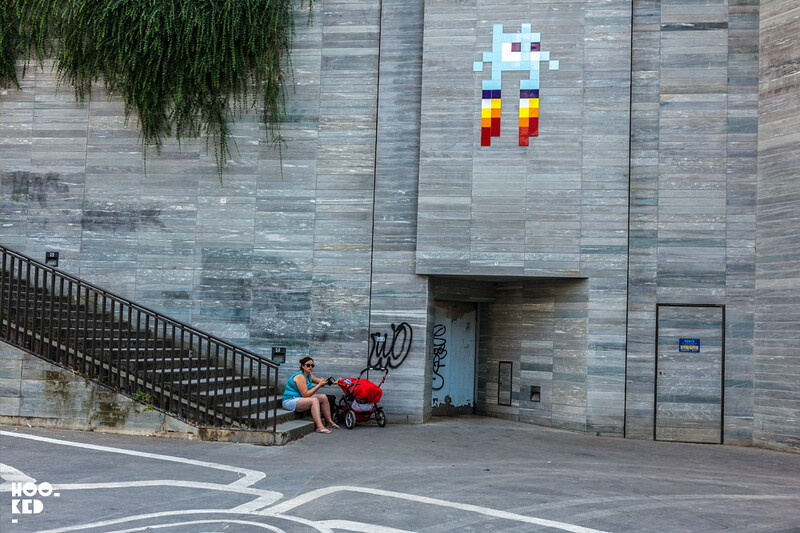 French street artist Invader is known around the globe for his pixilated street art mosaics based on the arcade games of the 70's. With over 1200 invasions in Paris alone it's pretty hard not to visit the city with out spotting Invaders work. We discovered over 30 while cycling around the city and we were sure to flash them all with the Invaders free Flash Invader app - a global game in which you get points for each of the artists work that you photograph or 'FLASH'. 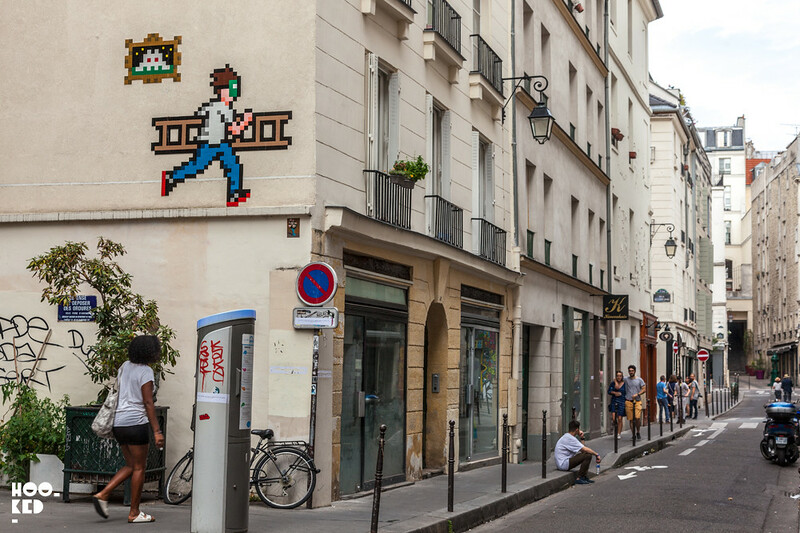 We will be sharing our Paris discoveries from Invader in another blog post along with some images from our visit to Le Musée en Herbe who currently are showing an exhibition of the artists work in a show called 'Hello My Game is' which is proving to be popular with adults and kids alike and have just had the show dates extended until January 2018. Le Musée en Herbe, 23, rue de l'Arbre-Sec / 75001 Paris, France. As with Invader, French street artist Fred Le Chevalier's cute black and white wheatpasted posters large and small can be seen right across the city. Le Chevalier visited London earlier this year and we featured a whole series of his London street art works on the site in the post linked below - so it was cool to discover some of his works in his home town of Paris. 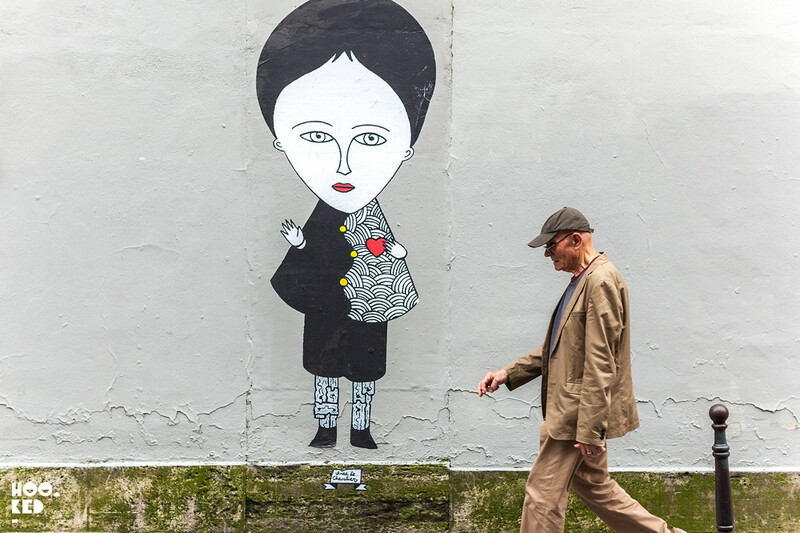 See more: The Street Art of Fred Le Chevalier in London, UK. 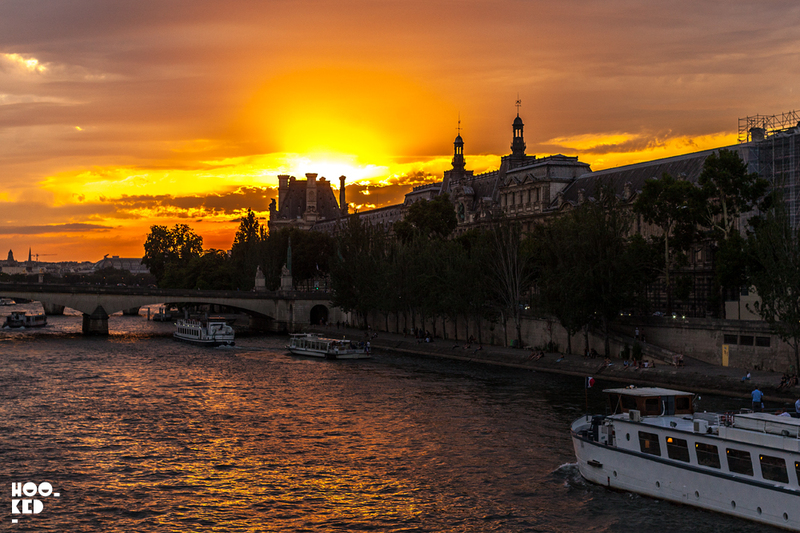 Paris as always was magical and we are already thinking about a return visit. 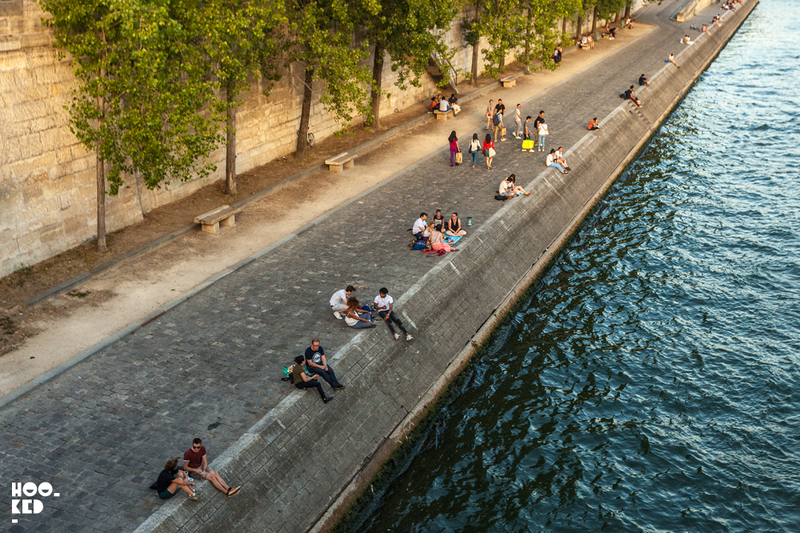 I’m sure many of you our readers have been to Paris before, did we miss anything? 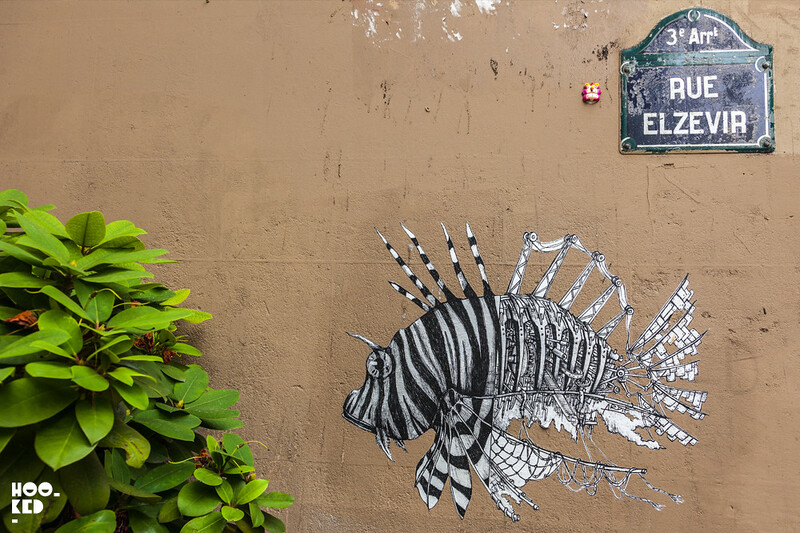 What are some of your favourite neighbourhoods for street art hunting in Paris? Share with us in the comments section below! 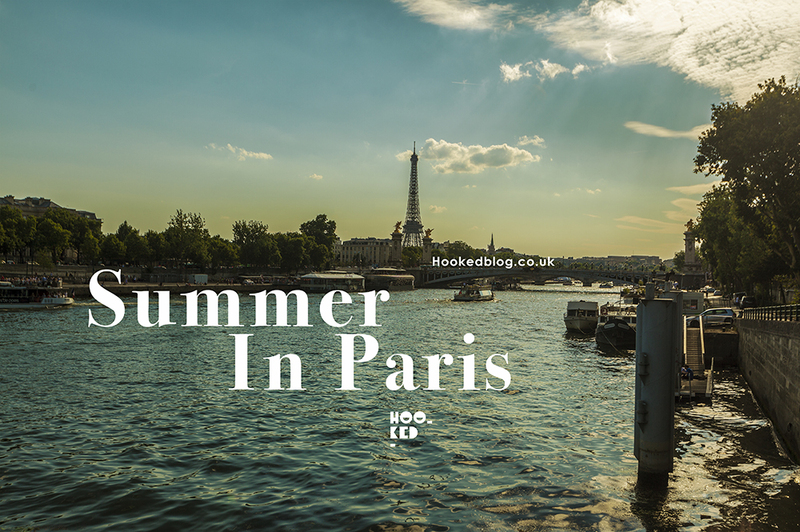 *Our Paris trip post is in collaboration with Air France and AirBnB as part of their #AirFranceToParis campaign, but all opinions are our own.